Each reimbursement claim goes through an adjudication process once it reaches a clearinghouse and eventually, every biller will receive a denial. Depending upon the reason, healthcare providers can appeal the decision and MIBs will play a major role in the process. In this enlightening article, well known physical therapist, Nitin Chhoda, explains how to resolve disputes without going through an official appeal. Many claims are denied for oversights and mistakes that can easily be rectified. Winning payment for their clients requires MIBs to develop an appropriate strategy that addresses the cause of the claim denial. When new insurance coverage goes into effect, the information may not have been added to the clearinghouse database. Proof must be provided that the patient’s policy was active and in effect at the time of treatment. This can be accomplished with a copy of the valid insurance card or a letter from the patient’s employer that provides the pertinent information. Each claim undergoes close scrutinization. Individual insurance companies have their own policies, procedures and protocols for reimbursement submissions. Not adhering to these will generate a claim denial, but can generally be fixed by correcting any error or making the appropriate revisions and resubmitting the claim. A carrier may decide the level of care exceeded what was required. Supplying supporting documentation for the claim will usually clear up the matter. It’s the responsibility of the practitioner to prove through appropriate documentation that the treatment or procedure provided was medically necessary. The clinician must provide a written letter that explains any extenuating circumstances. Payer policies may require patients to only see specific practitioners within their network of participating providers for treatment to be covered. Clinicians need to explain if an in-network provider wasn’t available. If a preauthorization wasn’t obtained prior to treatment, explain to the payer the circumstances that prevented the request, such as a medical emergency. The clinician should also supply evidence that the authorization would probably have been approved anyway. Many policies have exclusions for any disease or condition that affected the patient prior to when their policy went into effect. To eliminate a claim denial, the onus is on the medical provider to demonstrate that treatment wasn’t due to a pre-existing condition. If available physical therapy documentation doesn’t support this, an appeal is futile. 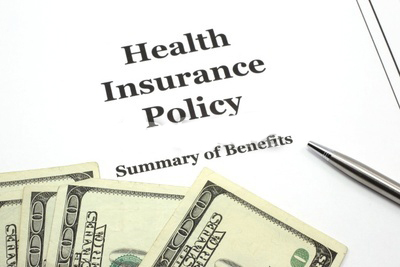 Each insurance policy has specific restrictions, requirements and limitations. MIBs will need to ensure that the claim was coded correctly and the procedure was covered. If the coding was accurate but proof of coverage can’t be assembled, don’t appeal. An appeal isn’t always indicated when a denial is received. When all the requirements, coding and conditions of the policy has been met and a denial is issued, it’s important for the MIB to provide the needed documentation and evidence to support the reimbursement. These strategies provide carriers with clear and logical explanations as to why the denial should be removed and funds facilitated to the practice’s account.